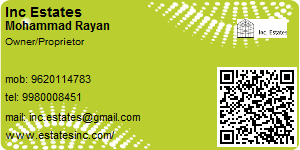 Welcome to Inc Estates, A Total Realty Solution. We at Inc Estates deal in all verticals in real estate services and cater to the needs of both corporate and individual clients. Inc Estates is continuously developing its services, from consulting to seeking the property to determine the best property investment for your needs, budget and requirements. Clark Road near Richards Park is a very quiet locality. East Railway Station is the nearest station to board trains. It is a well developed area, which has a high growth potential in terms of residential development. Leading schools, shopping malls, showrooms have come up in the area. 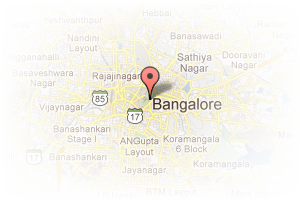 Address: 8, Frazer Town, Frazer Town, Bangalore, Karnataka, India. This Broker Profile page for "Inc Estates" has been created by PropertyWala.com. "Inc Estates" is not endorsed by or affiliated with PropertyWala.com. For questions regarding Broker Profiles on PropertyWala.com please contact us.